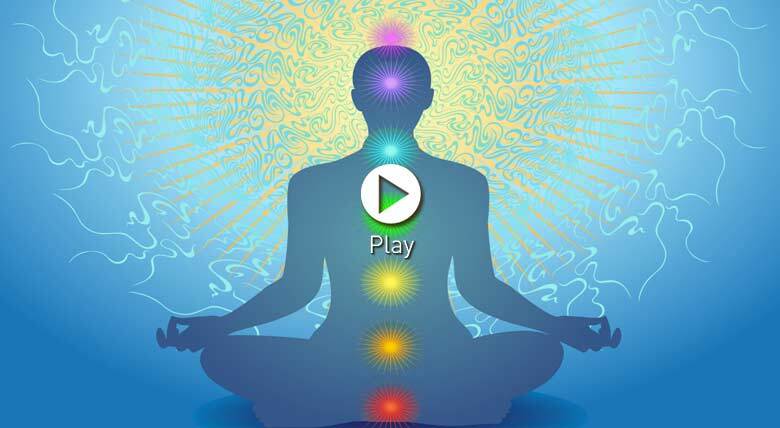 Harmonise and balance the energy body with this 30 minute guided relaxation. Use the power of visualisation to still and calm the physical body before soothing the energy body by working up through each energy centre in turn. Bathe the body with vibrant colours, qualities and affirmations to nurture and align each chakra. Use this relaxation regularly to build up your chakra awareness and to create a sense of deep peace, calm and balance. Oh my goodness....thankyou Anouschka. Into my favourites - tick! I'm truly looking forward to taking my self into this day after doing this. All the best. Wonderful relaxation, lovely way to start my day. Such a beautiful, balancing relaxation – very nourishing and nurturing. Thank you Anouschka. What a DIVINE relaxation! Thanks Anouschka! Totally beautiful thank you so much Use this for myself a few also my teaching from now on ! I have just listened to this beautiful relaxation/meditation this morning. It is very calming and peaceful. You have such a beautifully soothing voice, Anouschka, thank you. I'm ready to get on with finishing my Meditation Assignment now! beautiful meditation/relaxation! thank you Anouschka! oh what a lovely practive!! thank you!!! Hi dearest friends. Thanks so much for your comments - my advice? Put this one on your 'favourites' list and come back to it regularly! The chakras are the gateway to accessing a universal power and unlimited energy - they are a little bit like a circuit breaker - allowing energy from the main electricity grid into your house. Visualising their colours helps us to tune in and align to their unique energy signature - bathing us in vibrant energy, peace and harmony. That has to be one of the most beautiful relaxations l have ever experienced. The soothing voice, the content, the pace, perfect. I feel wonderful, thankyou. Thank you! I was so tired today and did this beautiful relaxation mid afternoon. I then went on to write several invoices! I shall be coming back to this one. Just experienced this lovely relaxation for the first time, beautiful, thank you Anouschka, now in my favourites! Hi Carly, not sure why it should be sticking for you - I've had a look through the class and not getting stuck at our end... I wonder if it might be your internet connection (which is a bit strange if its only on this video...) You can click 'play' and then 'pause' before you start which could help to buffer the video. This is incredible. Thank you. Thank you so much Anouschka, this was very calming and relaxing just what I needed after a busy day. wow! that was wonderful..what a great start to the day..thank you. A fantastic relaxation Anouschka. Many thanks. Soothing and gently reenergising- a wonderful way to be kind to ones self. A pleasure to listen to Anouschka's beautiful voice. What is an EBR in Dru Yoga? Thank you Annie - a great reminder of what an EBR is & how effective they can be.